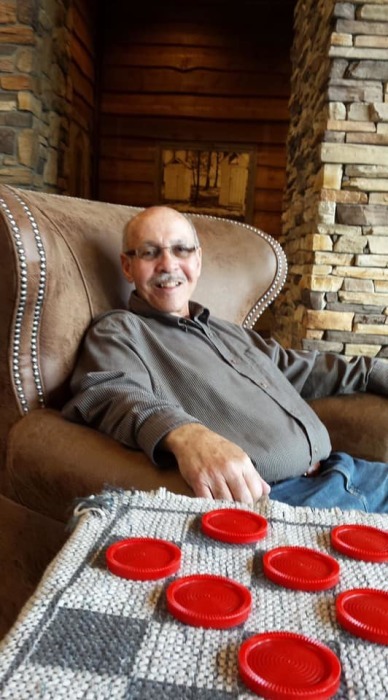 Our beloved, Kenneth Deane Meador Sr., age 69, of Dudley, NC, went home to be with his Lord on Friday, March 29, 2019, surrounded by family at his home, following a long illness. Born August 7, 1949 in Crab Orchard, WV, he was the son of the late Deane and Margaret Maxine Meador. Kenny was a certified electrician, working at Georgia Pacific in Dudley for 10 years and was also owner of Meador Electric. He was member of Faith Free Will Baptist Church. He enjoyed spending time with his family at his river camp in West Virginia. Humble and kind, he had a wonderful sense of humor and genuine smile that will be sadly missed by all who knew and loved him. A celebration of his life will be held on Tuesday evening at 7:00 P.M. at Shumate-Faulk Funeral Home with Revs. Christian Powell, Dann Patrick, and Walter Sloan officiating. A committal service will be held Wednesday morning at 11:00 A.M. at Wayne Memorial Park. The family will receive friends from 5:00 until 7:00 P.M. prior to the funeral service Tuesday evening. Those left to cherish his memory are his loving wife and best friend of 50 years, Connie Sue Lilly Meador; his children, Deane Meador (Kristen), of Winston Salem, NC, Kristy Mason (Chris) and Mike Meador (Christy), both of Goldsboro; grandchildren, Brooke Meador, Sage Meador, Kinsey Meador, Dawson Meador, Laine Sellers, Logan Mason, Emma Meador, and Kaden Meador; a great grandchild, Aiden; brothers, Richard Meador of Tallahassee, FL and David Meador of Tallahassee, FL; and a sister, Ama Cadle of High Point, NC.